← New Book Release: Quiet as a Mouse: And Other Animal Idioms by Chiêu Anh Urban! Our annual conference starts tomorrow, y’all. Tomorrow! Yikes! It feels as though our 25th Annual Still We Re(vise) Conference has crept up from behind us and jumped out to scream HELLO! Or maybe that’s just me because I feel so utterly unprepared. Maybe you already have your bags packed, notepads ready, and book money ready to be spent. For those of you who feel as unprepared as me, no worries, here’s a giant post on everything you need to know! Get ready to be social! If you plan on tweeting or posting on other social media sites over the weekend, (and we love it when you do,) be sure to use the official conference hashtag: #stillwerevise. Are you getting a Critique for the First Time? Did you receive Kathy’s email? Registration and Information Desk(various times) – Staffing the information desk in the lobby. You will be provided with maps, answers to frequently asked questions, and possibly candy. We are not above bribery. 3.) Check out the Drop-In Query/First Page Critique Booth Schedule: Many of our Published and Listed Members will be offering Query or First Page Critiques on a drop-in basis at $10 for a 10-minute critique (paid directly to your critiquer). The schedule of critiquers can be found at https://tinyurl.com/2018dropin so check it out to plan when you would like to stop by the booth for your critique! From Laura … er, me: Need some last minute tips to polish up that first page to perfection? Be sure to check out these past posts. Headshot Sessions Cancelled: Unfortunately, we did not have enough registrants to meet the photographer’s minimum for our $40 headshot sessions, and this offering has been cancelled. The photographer will provide refunds directly to those who had signed up for this option. 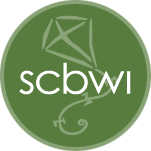 SCBWI Blogging Policy: By registering for this conference, you acknowledge that audiotaping, video taping and/or transmitting or aiding in any of the foregoing of any part of the conference (including, but not limited to, presentations, individual sessions and networking events) is prohibited. Additionally, the material in all handouts and presentations is copyrighted and may not be reprinted, blogged, written, orally transmitted, and/or reproduced without written permission of the copyright holder only. If you are found in violation of the above, SCBWI reserves the right to remove you from the conference and bar you from attending future conferences. While we think it’s great when bloggers share thoughts about their overall experience, offer a personal anecdote, and/or briefly talk about something that resonated with them, it is equally important that bloggers not give away that which is not theirs to give. The fair use policy issued by SCBWI above refers to speakers’ rights, authors’ rights, and illustrators’ rights, under any circumstances, and it pertains to the content of our speakers’ talks, workshops, and/or handouts. This falls into the category of protecting intellectual property. Again, personal impressions, a quote that is cited, and/ or a general overview would be considerate. However, it would be a breach of copyright law to give away a detailed report of a presenter’s material. Thank you in advance for taking this policy into account. Your professionalism is greatly appreciated. SCBWI Anti-Harassment Policy: By registering for this conference, you agree to abide by the SCBWI Anti-Harassment Policy found at https://www.scbwi.org/anti-harassment-statement/. See the complete policy at the link, including guidelines for reporting violations. Dress is business casual. You want to be comfortable, but you also don’t want to appear to be slob in case you meet the agent of your dreams. Temperatures vary in conference rooms, so it’s always a good idea to dress in layers. What to Bring: Notebook, tablet, or laptop; favorite writing implements; business cards or bookmarks; portfolio (for illustrators); query letter or first page if you wish to get a drop-in critique (may be hard copy or on a laptop or tablet). Portfolio Showcase: During the main conference on Saturday, illustrators are invited to bring your portfolio, along with postcards or business cards, and drop them off at the portfolio showcase table. All attendees are welcome to browse the portfolios. Faculty will be asked to place a small sticky note on their favorite image, to give some helpful feedback on which images are working best. Meals: Saturday conference registration includes lunch and snack breaks. Saturday/Sunday event registration includes lunch and snack break both days. Hotel registration includes breakfast and dinner. Conference attendees not staying in the hotel may purchase an individual dinner ticket at the hotel front desk for $26.00. All meals will be served in the hotel dining room. If you have any questions about the food options, or require something different, simply speak to any member of the dining room staff. For those staying in the hotel: Once on Maritime Blvd., follow the blue lines to visitor parking lots Cor D. After parking, please visit the front desk, which is located in the South Residence Tower (Building # 2) to check in. For those commuting: Once on Maritime Blvd., follow the blue lines to visitor parking lot A. All keynotes, breakouts and intensives will take place in Building #3 – North Academic Building. Check in: Badge pickup will be open during the KidLit Games on Friday night at 8 PM. Badge pickup on Saturday morning begins at 7:45 AM. Bookstore and Signing: Our Conference Bookstore, run by Books With a Past, will be open from 8:00-5:30 PM in the auditorium corridor, featuring books by our faculty and attending SCBWI members. Make sure to stop by our conference book signing at 4:45 PM on Saturday to get your books autographed! Note: Closing keynote presenter Hena Khan will be signing after her presentation at Sunday’s luncheon. From Laura … er, me: Thanks, Kathy, for all the great information and a MAJOR thanks to Sue Poduska and the rest of our planning committee for putting this event together! Did you miss any of our Presenter Interviews? No worries, here are the links! And finally, TIPS! Lots of tips! My biggest tip is to remember that the presenters (agents, editors, visiting authors) are people too. They may be just as nervous to meet you as you are to meet them, and they definitely enjoy chatting about non-writing things from time to time. 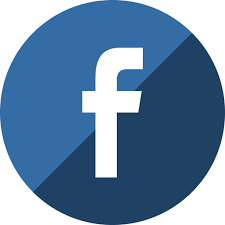 So feel free to talk about your favorite cookie recipes or the funny video you saw on Facebook last night. Some of the best connections can be made when you’re not actively pitching your book! While this older post has some dated information, there’s still some good tips! Come prepared by previewing our available breakout sessions and highlight the ones you’re most interested in. If there’s an agent, editor, or author you’re particularly interested in meeting, check out their website, Twitter feed, or other sites to get a feel for them. Pack business cards to give to new contacts. Nothing fancy—the kind you print from the computer are fine, with your name, phone number, email address and website, if you have one. Don’t forget your sweater if you’re like me and freeze if the temperature dips below 70! Get ready to take some notes by bringing a notepad, pens, your laptop or whatever you prefer making notes on. Oh, and bring a portable charger and cord as well for your phone! Also bring snacks if you have certain dietary needs. Arrive at the start of sign-ins so you have plenty of time to get a snack, mingle, and meet new people before the conference starts. If you want a book by a certain author, be sure to buy it in the morning before their presentation in case their book sells out. Mingle during breaks, lunch and social times. At my first conference, I met someone who became a very important part of my life this way! Have patience with the organizers if something goes wrong. Our goal is for you to have an amazing conference experience so we will be working hard to make this happen! Keep an open mind. If none of the workshops offered during a particular session apply to your needs, try attending something new! You never know what you’ll take from it and some of my favorite presentations have been on topics far away from my genre, like ones given by illustrators. If you have a critique scheduled and must leave during a workshop session, try to sit in the back. (Don’t worry about hurting a presenter’s feelings by leaving – they know all about critiques.) Arrive early and check it with the critique timer on duty. It’s okay if you need some down time – Saturday is going to be a very long day with tons of information, so if you feel overwhelmed, find a quiet place to take a breather. Follow up after the conference. If you had an excellent critique by an author, send them an email thanking them for their thoughts. If you connected with another writer or illustrator, get to know them better by making contact! Share! If you have a blog, write about your experience and what you personally took away from the weekend without giving away valuable information or copyrighted material that other conference attendees paid for. (See the blogging policy mentioned above.) Be sure to also send us a link or submit to be a guest poster here! Afterwards, we’re hoping you go home pumped and excited, reading to attack your writing or illustrating projects with new energy. Capitalize on this by rolling your sleeves up and getting to work! I can’t wait to see you at the conference and as always, happy writing and drawing! This entry was posted in Conference Information, Conference Tips. Bookmark the permalink. 2 Responses to SCBWI MD/DE/WV 25th Annual Still We Re(vise) Conference: Tips, Reminders, and More! I can’t wait to see everyone tomorrow! I’m so excited!!! Excellent post, Laura, thanks much!